Yikes! The San Juan County Fair is only three weeks away: August 12-15! The 100 Friends of Old Island Barns has always tried to have a presence at the San Juan County Agriculture Exhibit, and 2015 is no exception. 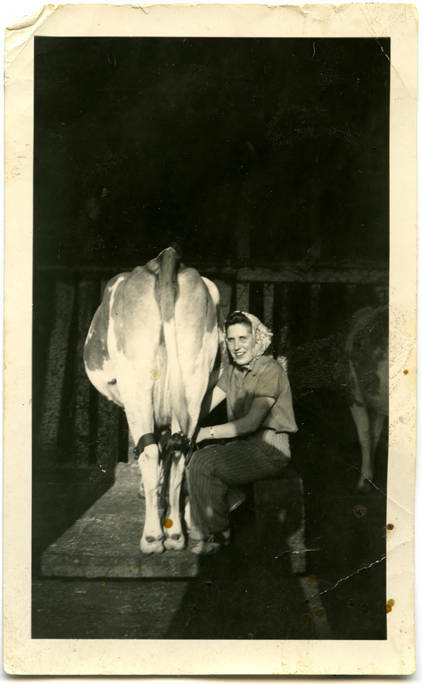 In keeping with this year’s theme, Strawberry Fields For-Heifer, we will have a display on the Dairy Industry in the San Juan Islands, including–you guessed it–old dairy barns and milk houses. The exhibit will be in the Ag Corner, which is located on the west side of the Main Exhibit Building, between the relocated Beer Garden (NW corner) and the new San Juan County Parks office (SW corner). If you want to study up before you come, or just can’t make it this year, check out the Dairy section under Uses of Barns, as well as Milk Houses under Associated Farm Buildings. See you at the Fair!